This year the streets of fashion have been turning green. No, not (just) with envy but with major style! 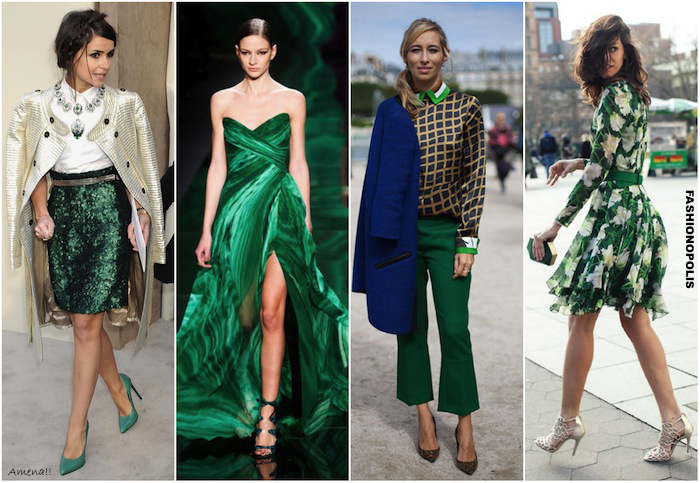 From runway to red carpet to street style, “lively, radiant, lush green” better know as Emerald has completely taken over. Also, after last year’s in your face, attention grabbing Tangerine Tango, Emerald with its refined allure comes as a breath of fresh air. No less attractive than its predecessor, emerald green is perfect for those who wish to wear a rich, luxe hue minus the all-eyes-on me boldness. Emerald may be a new shade for some, but here in India it has been a part of Indian attire for years. Often spotted in bridal trousseau or traditional Indian weaves, emerald along with many other tints and tones of green is culturally an integral part of Indian fashion ethos. Plus, the beauty of emerald is that it complements most Indian skin tones. If you are looking for ways to tryout and wear Emerald Green, here are a few styling options to help you out. Start Small: The simplest and safest way to experiment with a new colour is by opting for small pieces, aka accessories in that shade. 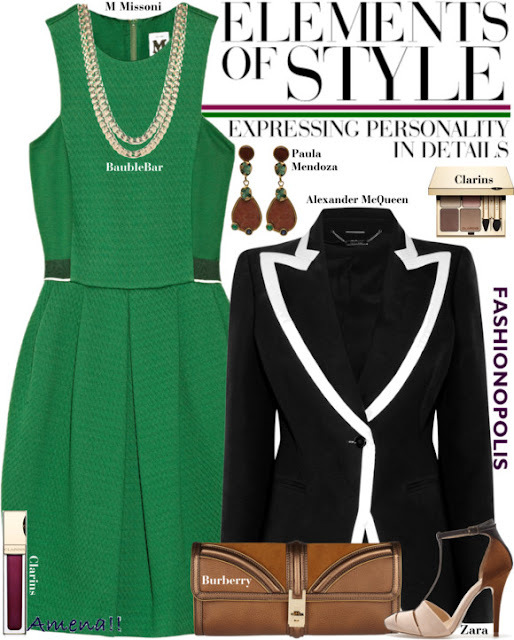 Start with a pair of emerald green earrings or an emerald green tote or emerald green pumps. Once you have found the confidence as well as your comfort zone with the colour you can invest in bigger pieces. Colour Block with Contrasting Shades: Ever since colour blocking was discovered and made into a trend it has been a hot fave of the fashion world. A great way to mix ’n’ match bold and rich colours of your choice to create striking look. If you think you can rock a color block look, pair your emerald green piece with contrasting shades such as blue, purple, yellow and orange. Balance With Monochrome and Neutrals: One of the best ways to style a bright hue is to mix it with neutrals. Pair it with a classic monochrome black and white combo (IT trend of the season) or neutral shades such as brown, grey, beige and navy. The neutral colours balance out the ensemble without diluting the charm or taking away the attractive quality of the main colour. The trick to styling emerald green is by balancing out the ensemble’s colour palette as per your preference and picking a look most suited for you body structure and personal taste. This year along with nature, emerald green is going to be the most abundant hue of the fashion world too. What do you think of Pantone's pick for Colour of the Year 2013? And how would style emerald green? Share your views with me in the comment section. This post was written by me as a guest blog post for Shop InOnIt's Style Blog. Can't take my eyes off these beautiful sets..your styling is always super inspiring! Love the first one.. 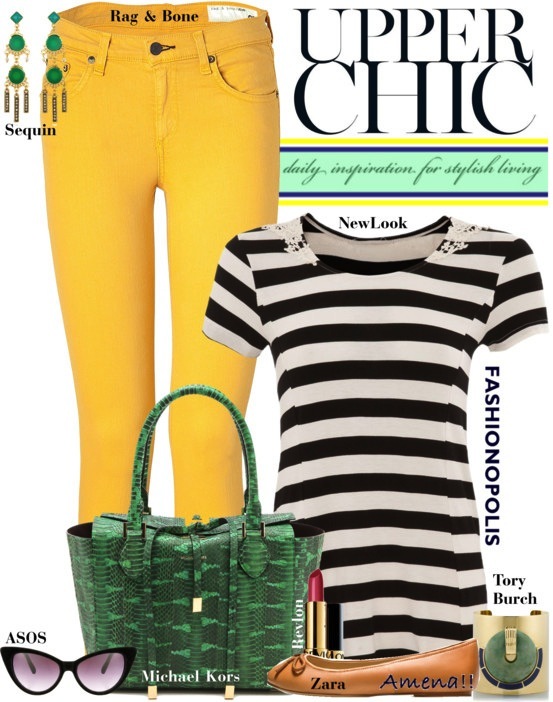 It's like nailing bright, emerald and stripes at one go! You suggest awesome color to pair with other clothes.It is a color which direct relates to freshness. Thanks for the post. My jaw dropped to the floor when I saw that GORGEOUS emerald green trench coat in the second outfit photo. LOVE IT. perfect styling Amena! Usually I love emerald green in small doses, but the last outfit is my absolute fav! Loving the first collage! Especially like the combination of the emerald green pants and grid-like navy shirt. From which shop is the last dress in first photo?